At the end of October we headed off to South East Quebec, Canada. 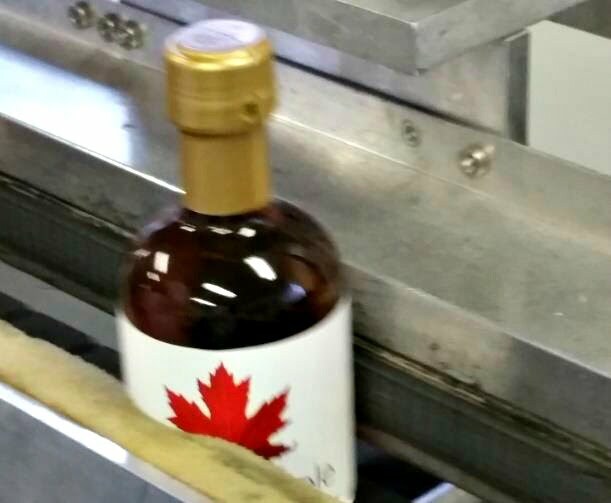 The weather was starting to turn cold though the beautiful colours of autumn still persisted in between snow flurries and we were just in time to see our Pure Maple Syrup being produced for our customers in the UK. 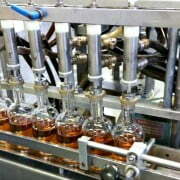 Having been harvested in April and May, the maple syrup has been stored over the summer in huge vacuum vats until it was ready for processing. 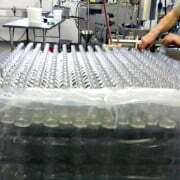 These vats can hold up to 200,000 litres and maple syrup can be held in them for as long as 6 years! 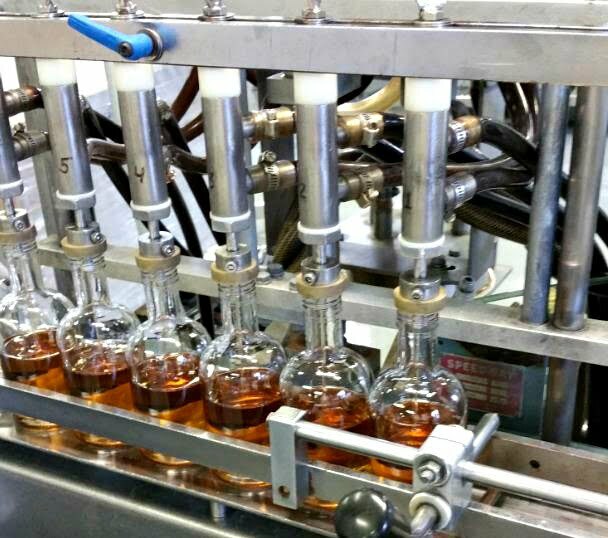 The high-tech factory produces all three grades of our Pure Maple Syrup on a semi-automated packing line, with stringent food safety and quality controls in place to make sure that we deliver the best product possible to our customers. 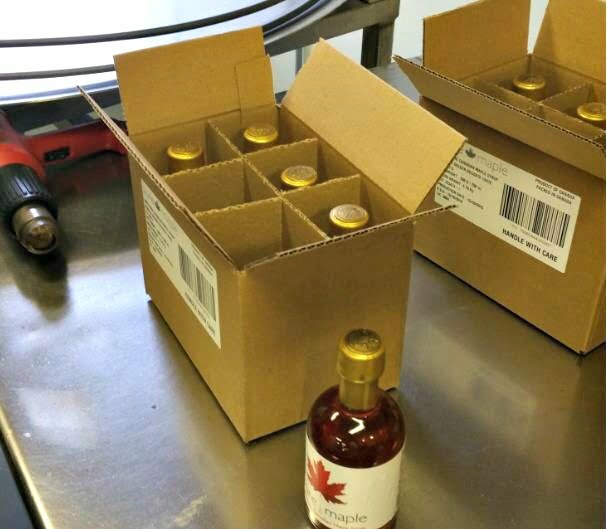 We heat the maple syrup to 100°C and then ‘hot pack’ it into sterilised glass bottles to guarantee a shelf life of more than 24 months unopened. 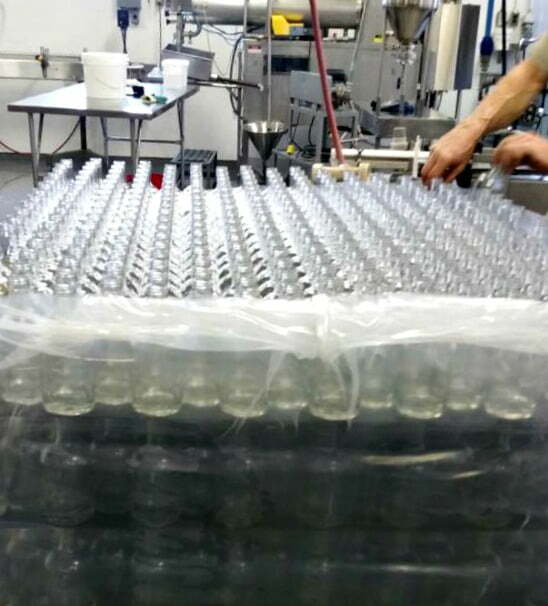 Once filled, the bottles pass through quality assurance, are labelled and packed into boxes, ready to be safely transported to UK. 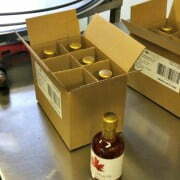 Our Pure Maple Syrup is currently on a boat, winging its ways across the Atlantic and will be in our UK warehouse in Hampshire by Wednesday 18th November. 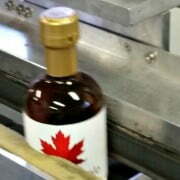 Having seen our Maple Syrup through the whole processing – from tapping to bottling – we can’t wait for you all to try it!